I know you’re probably wondering what a satin pillow case has to do with preserving your beauty, but ladies please realize that it does. Cotton absorbs oil, water, and many other liquids, but satin does the complete opposite. Satin will allow the moisture to stay in your hair rather than drawing it out. If you have read previous blogs, then you know that curly hair tends to be drier than straight hair. 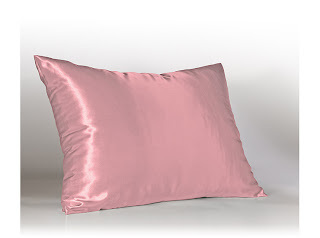 Sleeping on cotton pillow case’s can make your hair dry, brittle, and can also cause split ends. We (Kiss and Wink) also love bonnets and scarves, but we also know that those don’t always make you look or feel beautiful, so today we are giving you all the keys of sleeping on satin and how it can keep you looking and feeling beautiful. Prevents Friction which can put wear on your hair. 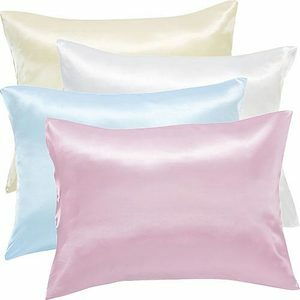 So, gorgeous if you don’t like scarves or bonnets because the way they look, you have to try a satin pillow case. We love giving you all types of beauty secrets. We want your hair and skin staying beautiful and healthy as long as possible and there is no better start than a satin pillowcase.